No matter where I go in the world, I seem to find pizza at the core of many things. Most recently, my friend Brendan and I were motorcycle touring on the West Coast from San Diego to Washington State. 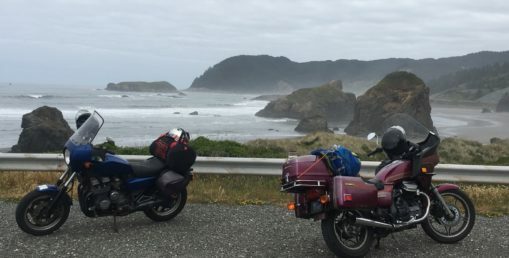 We were riding vintage Honda Motorcycles from the early 80’s and camping our way up the beautiful West Coast of the USA. The Oregon Coast is so beautiful, if you haven’t been, drop what you are doing and explore. We stopped in Bandon, OR for some coffee and to talk about our upcoming travel for the rest of the day. 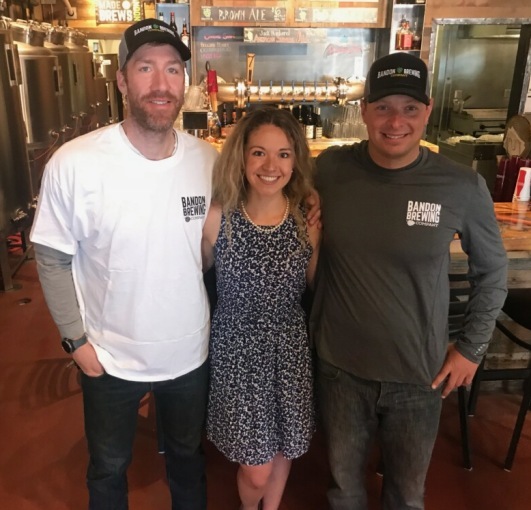 We ended up talking with a cool entrepreneur named Jon Hawkins, his beautiful wife Nicole Hawkins her business associate Grace, we mentioned that we were planning on heading next door to check out the brewery with the outdoor deck. 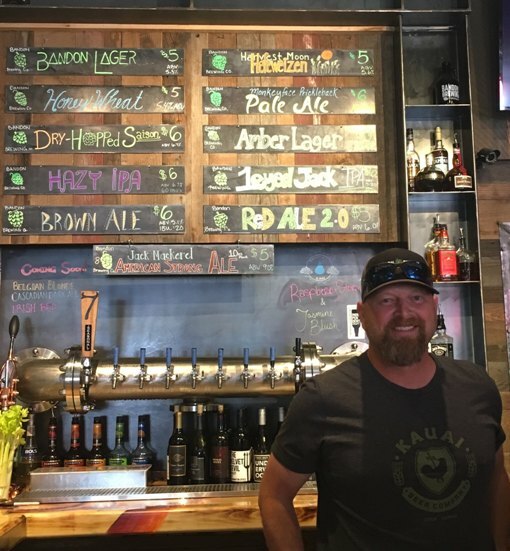 It turns out that Jon was the owner of the Bandon Brewing and he invited us to come try some of his beers, at this point, I knew that the rest of our riding that day was probably over. 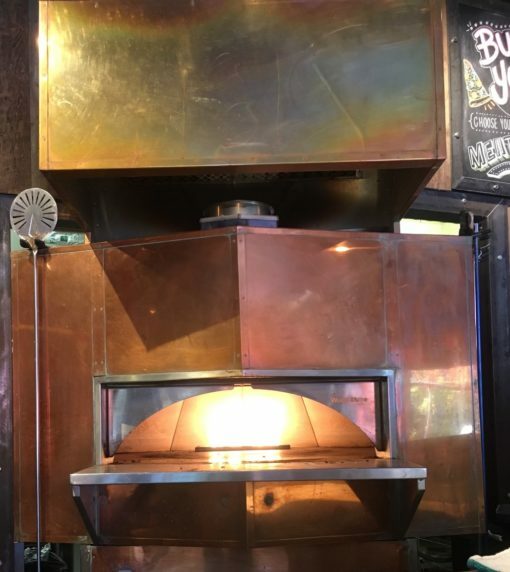 We happily walked next door and took a short tour of the brewery before sitting down to try some beer, as soon as we sat down, I noticed a large beautiful pizza oven in the center of the kitchen. Our conversation quickly turned to pizza and beer and soon we’d had several tasty beers and our riding day was happily finished. 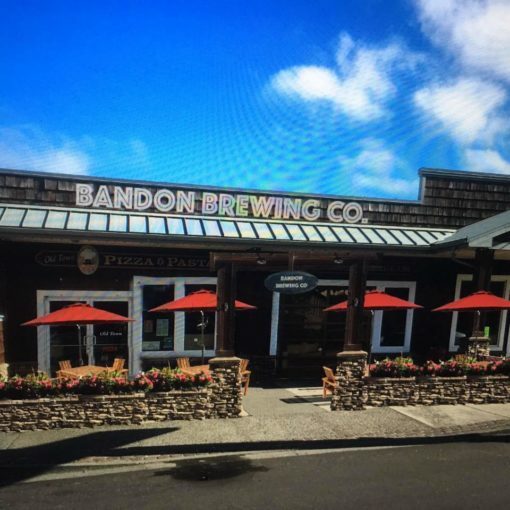 We ended up talking with many visitors and locals, Bandon Brewing really had a welcoming feeling and it was a place that was designed to bring people together and share some great stories while sipping down some tasty beers. We met Kip from Seattle, he was headed down the coast on his BMW motorcycle. Wild Bill was a local Bandon guy who had traveled to the Southern tip of Chile on his motorcycle. Later that evening, we ended up meeting Jon’s family and he put us up for the evening in his house. These were the first beds we’d slept in during our travels, so it was excellent to get a day of socializing with new friends and great beer and pizza. The next morning Grace cooked us some delicious French toast and soon we had our iron horses loaded up and we were ready to hit the road after a great stop with our new friends. 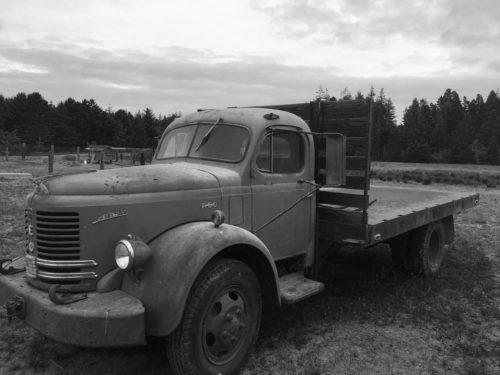 Jon even has some plans to get into the wood-fired pizza business with his unique REO classic truck. 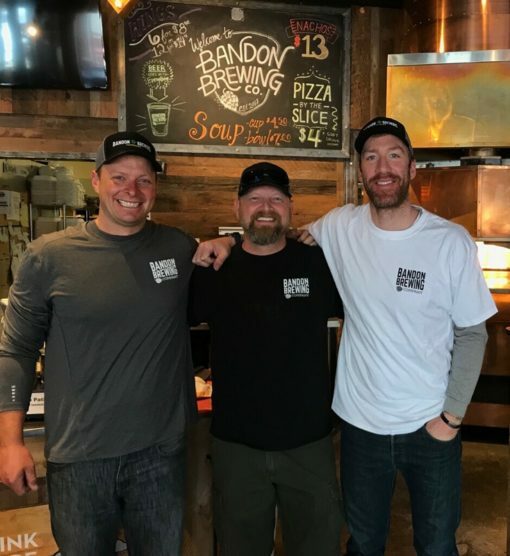 If you find yourself in Bandon, you must stop and see Jon and his crew and try some delicious beer and pizza!